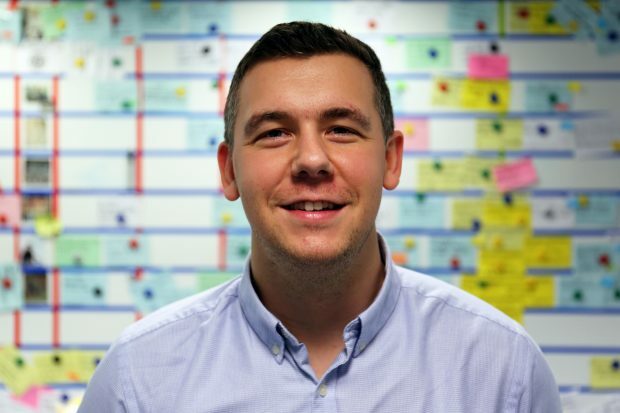 I’m Matt Johnson, Head of Software Engineering at DWP Digital. We’re currently looking for talented software engineers to join us at our digital hubs in Blackpool, Leeds, London, Manchester and Newcastle. At DWP Digital, we’re determined to disrupt the established status quo of how we design and develop digital services. We're setting the bar high by implementing agile at scale across product delivery. And we're building a high performance software engineering culture that puts people and teams at the heart of our product deliveries. By taking on board the principles from the Agile Manifesto, which starts with putting people and interactions over processes and tooling, we're placing an emphasis on ‘building the right thing’ rather than ‘building the thing right’. 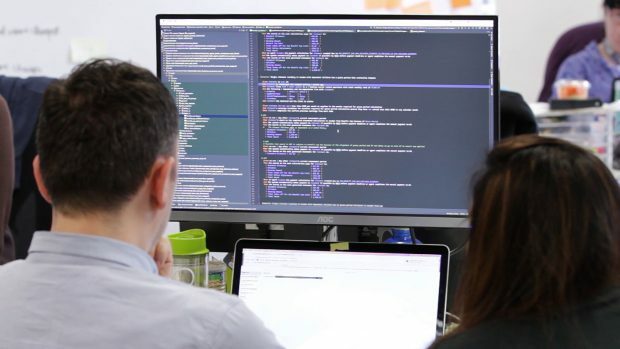 Day-to-day, for a software engineer at DWP Digital, this looks like pair-programming, Behaviour Driven Development (BDD), Scrum and Kanban practices where extreme programming (XP) techniques are encouraged in order to build a culture based upon sound, modern engineering practices. We're doing this to realise the value of in-sourced product delivery and ownership as opposed to the outsourced model - although that may still be suitable for some deliveries where risk and delivery can be wrapped in commercial and contractual agreements. However by hiring excellent engineering talent, we gain the technology brains necessary to continue delivering important products at pace, whilst also challenging, informing and changing policy decisions as we work with stakeholders across the whole of DWP. The opportunities to create valuable customer experiences by validating products increases with the more internal feedback loops we have; this all starts by employing, recognising and empowering our own workforce. We're looking for passionate and talented people who have come from environments where they're used to delivering at pace and fulfilling the needs of the team to get the thing delivered. You'll be a tenacious problem solver with the ability to think in the abstract to assist in breaking down large complex problems. You'll also need to be articulate in communicating ideas, confident in delivering them and able to work with others, be it pair-programming or mentoring and so on. You'll also need a healthy dose of scepticism, pragmatism and humility! We’re interested in hiring actual people, not machines. So on your CV, as well as listing your education and grades, give us details about your experience at hackathons, coding competitions, or programming assignments at work. Just because it isn’t an academic credential doesn’t make it any less relevant. Now for the obvious part. It goes without saying that engineers need to be able to code, so intensive preparation for the coding exercise is a must. Candidates will be expected to complete a Codility test, talk about it, and be willing to do some pair-programming on it for around 45 minutes. DWP Digital is looking to hire talented software engineering people now, and for the foreseeable future. You can see what vacancies we currently have available on our jobs site, LinkedIn, Stack Overflow and through Civil Service Jobs. You can also follow us on Twitter @DWPDigital to keep up with our latest news and job opportunities.